Introduction For a whole week to the 9th April 2018, I suspended all other daily avocations to set about reading John Redwood Anderson’s three volume poem Triptych which I’ve had on my shelves for some years, unread, many pages uncut. Oh, the pleasure of slitting them as you read with a sharp kitchen knife. Can’t get that with an e-book. To go back a bit… On January 23rd 1955 I left school to ‘work’ in Charing Cross Income Tax Office. The best part of going to the office everyday was the opportunity to continue my exploration of London backstreets which had started, surprising enough, more than ten years previously while the Second World War was raging. In the barrow outside a secondhand/remainder bookshop that was then on the corner of Shaftesbury Avenue and High Holborn, opposite Shaftesbury Theatre, I found a new copy of John Redwood Anderson’s A Paris Symphony. It greatly influenced my idea of what poetry could do & how it could be written. Triptych, which was published 1946/47, I bought in Watkins, Cecil Court, off Charing Cross Road, sometime in the 1990’s. What decided me to read it at last? A kind of mystery but I do have a habit of sometimes plucking a book at random from our library shelves to ‘do it over’ – simple as that. It’s entirely relevant that I had been spending much time in the previous two weeks reading over 700 haiku/senryu from emails to make selections for publishing in the British Haiku Society’s quarterly journal Blithe Spirit and needed some relief from such effort. My mind became attuned to the process of reading three line ‘poems’ of mostly less than 17 syllables each. To survive this kind of experience you have to get into a rhythm and the rhythm itself became part of my everyday psyche. Thus it was that I hadn’t been reading the first volume of Triptych (called Ascent) for very long before the currently very familiar cadence began to impose itself on my reading of the verses, the lengthy, somewhat repetitive, ecstasies of John Redwood Anderson’s highly charged mystical sequence. Every so often I became aware that an image, some trope or other, would assemble itself as a certain short something-or-other, in the style of a haiku. In the style of rather than actually being the kind of thing that is normally acceptable to me as haiku with its proper concrete imagery, its in-the-moment non-dualistic observation encapsulating something redolent of a ‘before’ and ‘after’ mystery of some sort. Sometimes what dictated itself to me in my reading trance really was a haiku, in my terms, but more often than not the three-liners that emerged from the longer text could be described as almost a haiku. Over time, reading the long, somewhat turgid, verses became more & more punctuated by a pause to record a ‘moment’ that leapt out at me and demanded to go in my notebook as something at least in haiku-form. When I started reading I’d had no inkling that, by the time I’d got to the end of the third volume, I’d have recorded 268 such little three liners but I became driven to read on imagining that somehow John Redwood Anderson was possibly constructing his long poem on certain maybe conscious ‘organising images’ & ideas which were asserting themselves as the focus of my attention. I have no idea whether this was actually the case but it felt like it. Then it became an obsession. It was not always the case that three lines of text formed itself into a haikuic single breath: if a sequence of words needed modifying, or completing to make a three-liner I might take an image from further down the page that seemed connected somehow. Sometimes I made things work by just being me, quoting very roughly but making a plain response to the drift of words to make a three-liner. As a whole, Triptych is ecstatic stuff, littered with abstractions such as I would never ordinarily countenance in haiku, or at any other time for that matter; and with comparisons (similes) that are irrelevant in non-dualistic haiku. From time to time the products stray into the realm of what’s called ‘Modern Haiku’ – surreal images, whimsy concocted within the brain rather than by reference to something experiential. Incidentally, when I’m being a responsible member of The British Haiku Society, I am a determined opponent of the bandwagon ‘Modern Haiku’ so that I have been described as a purist, dedicated to the Zen principle that haiku emerge from a non-dual relationship between internal & external, without passing through a deliberate process of ratiocination, the external being internal after all. 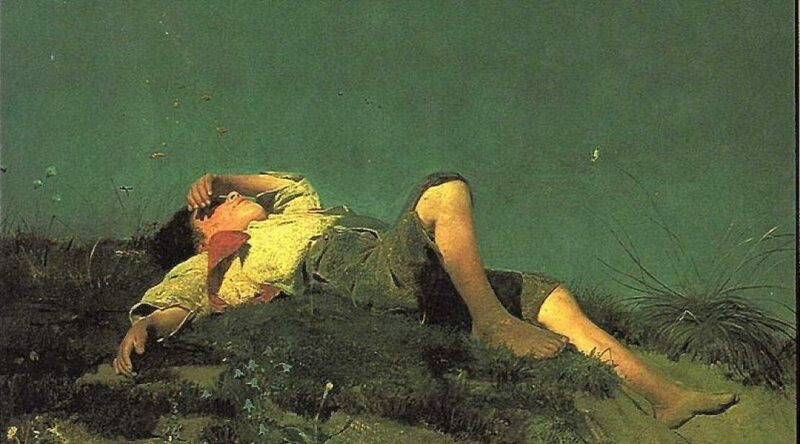 The elements that make up this ‘authentic’ – if not very distinguished – haiku (‘summer afternoon’, ‘light’, ‘shrubbery’, ‘clouds’) are just like those derived from reading – mere words in a text have an identical impact on the brain – it can’t tell the difference, poor thing; they are equally instantaneous; the stimulus is just as immediate. The 268 consist of a variety of haiku-like gestures: special, noteworthy, images that made themselves into three-liners in next to no time; exhortations, rhetorical addresses that last the length of a breath, just as a haiku does; curious whimsical statements; epigrammatic immediacies normally ruled out in haiku; vehicles of the objective correlative; brief observations that leave the reader wondering what happened just before and what happens afterwards; heaven-type concepts encapsulated in grains of sand. In the end I decided that my role was not to think too much about what I was reading – if I had done this I would probably have abandoned the not very riveting task. I was to let the words flow through my brain without trying to construct too much sense, to be alert to a sudden difference in the flow and capture it with the immediacy of haiku-spotting. I have to admit that I found Triptych on the whole a rather long-winded dream journey of the soul. I allowed myself to be vaguely aware of the journey to a Magic Place, but 268 times there came a sudden knot of imagery or thought that seemed worth rescuing from the endlessness. It often occurred to me to wonder if anybody else had ever read the entire Triptych as I had in the space of a week. My extractions ignore the route of the journey; nevertheless, in following them one can get a sense of movement from one place to another, perhaps from one voice to another. It’s not important for my text but the voices of mythological creatures & gods range from Odin to a Centaur to JRA himself who, as poetic mastermind, is after all the voice of all of them; combining the voices of all his own collection of ‘I’s with their separate points of view. Since they seem to fuse together ultimately, I have made no attempt to distinguish the separate voices – allowing the little poems to speak for themselves, as though articulated by a single voice; shifts of emphasis, place & time are conveyed through the verses themselves. At the end all the ‘I’s become mine; when JRA meets with the ghost of his father I meet my father – we all become one at that point. The multiplicity of ‘I’s become single Unified-I. for God into my shrinking solitudes. to the perilous searching of unknown treasure. We construct our own world and the people it in whatever way we choose. And so, at the end, we ask ourselves: What exactly is John Redwood Anderson’s religion? What exactly is the philosophy underlying the tragic antithesis between Perfection and the desperate conflicts of Life? On these points the readers of this book must decide for themselves. For myself, I should call him a Platonist who has been influenced by the Christian Religion; and, just as I am deaf to music, so I must confess that the spiritual challenge evoked by this daring and original poem leaves me among the heathen. But that surely is the real test! If as a sensualist and a heathen, and devoid of any spiritual ideal, this profoundly religious poem has such an effect on me, by this token, if by none other, I know that it is a work of authentic poetry and likely to be a successful candidate for those purged and implacable ears that we call the ears of Posterity; for whether Plato and our poet are right or not in holding that music, or mathematics, lies at the heart of the universe, we know, as well as Paris knows (that indestructible Harlot of the Nations), that there grow certain actual trees along certain actual boulevards –‘of many, one’ – that fate has mixed with our whole life! We too have lost the friend of our youth. We too sometimes remember our first love. And whether we believe in the Perfection visioned by Plato and the Christian Mystics, or whether, like Democritus, we ‘put the world on chance’, as Dante has it, we all know something of that fatal beauty, and of those triumphantly beating, outstretched wings where to follow at all is victory. I am happy to stand with JCP. But I would question, as always, the use of abstract words like ‘religion’ and ‘spirituality’. In order to manage thoughts, we’re so given to wanting to classify things under headings that don’t necessarily apply to anything at all: ‘spiritual’, ‘religious’ – what do such words mean except to anybody ‘spiritually’ or ‘religiously’ inclined – for them, presumably, the words represent some kind of meaning in their lives which I can only guess at? When I say I am not ‘religious’, I mean that I do not subscribe to what is for me the questionable belief in the existence of a person or thing called God (projection of the superego on to a universal plane, says Freud convincingly in my view) and all the tom-foolery that goes with such a belief – religious wars, peculiar celebrations, Christmas money-making, bowing & scraping which is all too often transferred to the secular scene where people bow & scrape to god-substitutes, kings & queens & people with a lot of money & power. There seems to me to be nothing to be ‘religious’ about except dismissal of the whole goddamned business. On the other hand, when I say, in order to self-justify to another, that I am of a ‘spiritual’ inclination, I mean I can look out at the night sky and engage in a deliberate feeling of awe, experience myself being joined in a poetic sort of way to the cosmos, being at one with the huge expanse of time & space, content with the neutral Aurelian sensation that there is certainly something much bigger than I am. It seems to me that randomly choosing to subscribe to one set of ‘religious’ tenets rather than another constitutes a relinquishing of one’s status as a thinking human being; one ought to be capable of demonstrating the god-honest behaviour of non-denominational, unselfed, ‘self-worship’ which can usefully enhance a strategic view of the world. While ‘being spiritual’ is a behavioural stance towards what can emerge from a non-dual personal awareness of the systemic relationship we can have with everything under (and over) the sun. Both are a matter of behaviour. Having noted which, we could also just scrap both labels and realise that the crux of the matter is neither ‘spiritual’ nor ‘religious’, just a matter of shifting the brain into a different gear, to look at things from a different point of view, without labelling what goes on in any way whatever. I can at this very moment, whilst engaging in the serious business of trying to make consecutive sense with words & ideas, ‘wrestling’ indeed, at the insane keyboard, look up and out of the window at the trees and sky (which happens to be solid grey) and, leaving this ordinary world, make the internal comment, “Wow!” I can do this any time I like; it sends whatever it is passes for ‘me’ off to a different conceptual space. You could label this ‘mystical’ if you like but what does that add to the experience except to cage it in some invented classification? It’s all a matter of behaviour, of how one chooses to behave; of the way the neurons are swashing around, which is, of course, a kind of label! A simple Google search will reveal some bare details of John Redwood Anderson’s life: he was born in Salford in 1883; he was educated on the Continent: John Cowper Powys says ‘…for the first twenty years of his life [he was] brought up in Brussels with the poet Vaeharen (I can’t spell it [Emile Verhaeren!]) as his tutor & Maeterlink frequently dropping in & always kicking around…’ He later studied for a year at Oxford University. He also studied [violin?] at the Brussels Conservatoire. He took several teaching positions in different parts of the country before he settled in Hull where he taught at Hymers College from 1916 to 1942. He was the English master for the Junior School. During and after his time in Hull he wrote a considerable amount of poetry. He was a member of the Hull Literary Club, the Hull Literary and Philosophical Society and he also acted as president of the Hull Chamber Music Society. When he retired from teaching he moved to Wales and then to London in 1953. Over his poetry career he wrote more than 20 books. He left two unfinished books, one which was on philosophy. His last book of poetry, published in 1962, was While the Fates Allow. He also wrote the play Babel which was produced several times. He was known as one of the leading modern English poets. He died in Sible Hedingham, Essex on 29th March 1964. 1.The beginning of things from a scientific & an astronomic point of view. Some time in 2015/16 a Paul Roberts posted an appeal on the Old Hymerian Website (Hymers College, Hymers Avenue, Hull) for information about John Redwood Anderson who with his second wife had taught there; he said that for the last forty years he had been studying the life and work of John Cowper Powys but had become fascinated by Powys’ friend John Redwood Anderson. 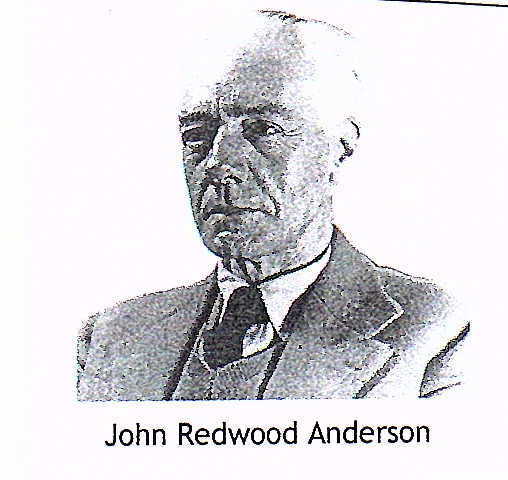 Because very little was known about Anderson’s life, despite his having published twenty books and been highly regarded in the 1920’s and 1930’s, Paul Roberts determined to find out more which resulted in his starting to write a biography of JRA, the first he’d written. After a time, he was in fact diverted into exploring the career of JRA’s second wife, Eileen Bessie Anderson, as teacher and ‘fine but neglected’ painter. His request for information met with little or no response. The biography of JRA does not seem to have materialised – there’s nothing on the Internet. However, he does record the following morsels of information. JRA met His first wife, Ella Mary Southwell Webber, in 1906, while living in Bristol. She was often involved in amateur theatricals in Bristol and it was at one of these events, held on behalf of the Bristol Children’s Help Society, that the couple met. They were married in Bristol in 1907 and divorced in 1915 on account of Ella’s affair with James Elwyn Wilks. Wilks and Rose Saxby had been married a year or so when he told his friends that, as an aspiring writer, he was feeling trapped in their marriage. He went to stay with John Redwood Anderson and Ella in Oxfordshire; it seems that an affair developed between James and Ella. When John Redwood Anderson found out, Ella went to live with his mother at first, then with her sisters in Bristol. However, by the time the divorce was completed in 1915 she was no longer living there and disappeared. We don’t know if Wilks ever wrote anything. He seems to have been reunited more or less straight away with his wife and she was pregnant with their son Peter Humphrey within a month or two. They sailed to Canada when he was three months old and JRA didn’t begin divorce proceedings until after Wilks had left England. After the marriage broke up at the beginning of 1914, JRA often went to stay with his friend since teenage years, Frank Merrick, who was a pianist and composer, then Professor of Pianoforte at the Royal Manchester College of Music. It was during one of these visits that Frank introduced him to Eileen MacCarthy who lived next door. The couple immediately became friends and were married on August 2nd 1917 at St. Paul’s Parish Church in Withington. It was, however, as Frank Merrick later wrote, a marriage based on their artistic interests rather than a passionate romance and, as the years progressed, they grew increasingly apart, each following their own interests and friendships. JRA began his career at Hymers College in 1915 and retired in 1943. After his retirement he moved to Corwen in North Wales, where he was in daily contact with John Cowper Powys, who became a great friend and supporter. It says much for Powys’s patience and fortitude, says Roberts, that although he was in his eighties and had books of his own to write, he allowed Anderson to visit him regularly, often to read his latest poems aloud for as much as three hours at a stretch. Although he is now almost forgotten, he was very highly regarded in literary circles, especially during the 1920’s and 1930’s. Eileen Bessie Anderson began her career at Hymers College teaching Art in the Junior School but was quickly promoted and soon took responsibility for Art throughout the school. Her career at Hymers lasted from 1917 until 1951. She was, it seems, a very gifted teacher, seeming to have had the ability to form powerful bonds of affection and respect with the boys in her care, as well as being a painter of great skill and originality.. She was known as ‘Ma’ by the boys – her husband becoming ‘Pa’ or ‘Pa Andie’…. Eileen continued to teach at Hymers until her retirement in 1951, the latter years of her career somewhat blighted by the unhappiness of her marriage, her increasing deafness and the struggles as an ageing teacher to maintain the interest of large classes of lively boys. After leaving Hymers, she moved to Eastbourne to be near her mother and her beloved sisters but relations with her absent husband continued to deteriorate and the couple were finally divorced in 1954. But to begin at the beginning. Here are the 268 haikuish extractions from Triptych. I wonder what John Redwood Anderson would have made of them. 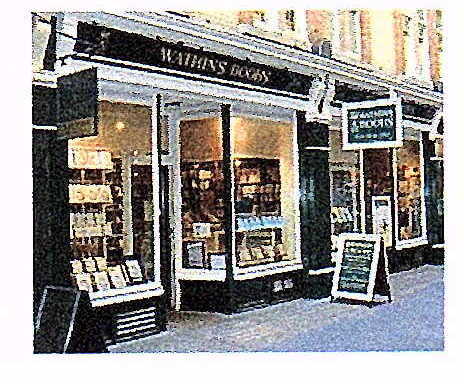 Posted in Books, Found Poems, Haiku, Thinking.Tagged British Haiku Society, Found Haiku, John Cowper Powys, John Redwood Anderson, Modern Haiku, Paris Symphony, religion, Triptych, Watkins in Cecil Court. Wow – what a week that was – thanks again Colin. Much as John Cowper Powys had to confess that he was “deaf to music”, so must I confess that I am deaf to nearly all forms of poetry and – sadly – to haiku as well, Colin. Nonetheless, I thoroughly enjoyed this opportunity to once again “read over your shoulder” and learn a little about both Powys and John Redwood Anderson – neither of whom I’ve come across up to now. And I read aloud to my wife your explanation of what you mean by saying that you’re not “religious” – a perfect summing up of hers (and my) stance as well, but spoken in your completely inimitable style! Redwood Anderson’s ‘Paris Symphony’ I thought was marvelous in 1955. I hesitate to go back to it after this experience! Thanks for the recommendation, Colin! I’ve done some quick research on Powys just now. Surprised to learn from Wikipedia that he was living in New York’s Greenwich Village, a favorite hangout of mine and Elyse’s in our younger days, when Wolf Solent was published in 1929. And then I found a 5-star review of Wolf Solent on Amazon with the memorable title “I (read Powys) think, therefore I am.” At this point, I was completely hooked. So I’ve added Wolf Solent to my ever expanding “want to read” list on Goodreads, and will let you know as soon as I get to it.